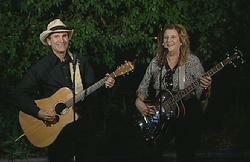 San Diego band "BAND DIEGO" is the sought after live music solution for oldies variety band entertainment in California. Your guests will tap their feet to the spirit of the beat with a popular selection of favorites. You can always count on Band Diego to perform the right music at the right moment. 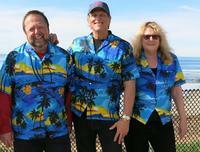 50's 60's Variety Band, Beach Music, Old Style Country, Enjoyable Classics 70's 80's. Proud to be the "fun" San Diego California entertainers! 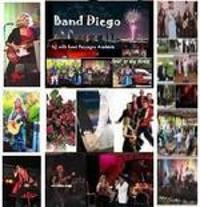 Band Diego offers San Diego California many band packages such as an oldies party, classic country, beach music band, wedding band, senior party band, ballroom dance music, Spanish fiesta fun, and interactive variety music entertainment for all ages. 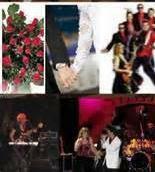 Hire San Diego Live Band with dinner music DJ packages for longer parties. Enjoy so many different styles, amazing party themes, and budget friendly packages. Choose from duos, trios, quartets, big band, acoustic, electric, english or spanish, party music entertainment. Your guests will tap their feet to the spirit of the beat as they enjoy favorite hits. Upbeat dance numbers will keep you moving or slow down to huggin & groovin. You can always count on Band Diego to perform the right music at the right moment. Band Diego knows it is important for you to be able to choose exactly the right entertainment for your party and works closely with your celebration program. There is also a package that includes a "DJ" with band option. DJ and live band packages are popular for weddings and longer celebrations that require non-stop entertainment and special dances. The DJ can program your song list before your party to play your favorites of old style to modern new music. Male & Female singers in each group. Enjoy more vocals and a wide variety for guests. Even Duo Band Diego bands have at least 2 musicians that sing lead and harmony. 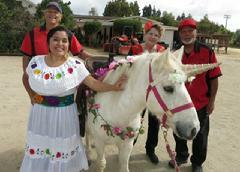 We also have a custom Fiesta Band that sings in Spanish & English. Band Packages for: a Birthday party, Company celebration, Wedding Reception Music, Rockin-Beach Luau, Anniversary, BBQ, Senior Dance Band, Community Festival, Oldies Sock Hop, Country Western Dance, Hotel Party, Yacht Club, Restaurant Entetertainment, Car Show Band, Veterans Celebration,Spanish Fiesta Fun, Ballroom dance, Family Party, Graduation. Activities for your guests can include: "Sing With the Band" or "Play with the band" for instrumentalists. 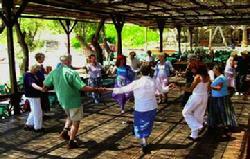 Dance songs available are: oldies, country, disco, rumba, waltz, cha-cha foxtrot, swing, line dance, tango. Interactive entertainment can be included of: Limbo Pole Rock, Hand Jive, Hula Hoops, Twist Contest, Dance Contests, Guest Group Sing-A-longs, Shakers, Inflatable Guitars and more! Tell us what you need, fun is guaranteed! Live Band, Music Entertainers, Musicians, Oldies Band, Oldies DJ, Country Oldies, Sock Hop Specialists, Rockin Luau, Beach Music Parties, Variety Band, Rock Dance Band, Mariachi style music Fiesta Spanish Band, Ballroom Dance. Great reviews San Diego band performs for your Birthday, Anniversary, Reunion, Wedding, Corporate Party, Family Party, Award Ceremony, Reception. Hire Band Diego of San Diego for competatively priced party music. Find the best priced oldies band, rock-n-roll music, classic rock group, country musicians, acoustic band, spanish and english band, beach band, oldies variety dance band. Performances with or without drums. Your family, friends, guest singers and speakers are welcome to be part of the Band Diego showcase. Professional PA equipment for your announcements. (Wireles Microphone available with Band/DJ Packages) *Advance reservations are recommended.